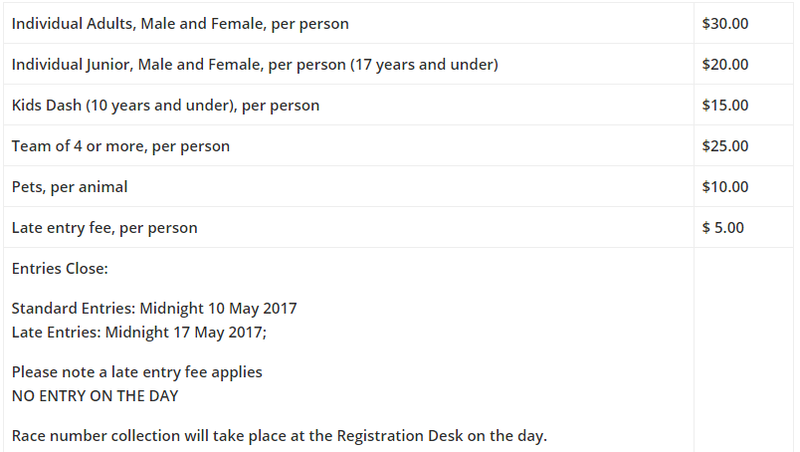 Rotary Fun Run (Melbourne) 2017 | JustRunLah! Fun Run Brisbane. A shady course that is in a beautiful park alongside the Brisbane River. Enjoy a traffic free Fun Run with fruit and water available at the end. This is a great Brisbane event as there is something for everybody. This is a prefect family event. Kids, prams, Grandparents even the family Dog are welcome. There is a 1 km Dash especially for the 10 & under age group - you are welcome to run/walk with your young one also. This is a fast course for runners looking for a personal best but also a wide course for the walkers to go at their own pace.